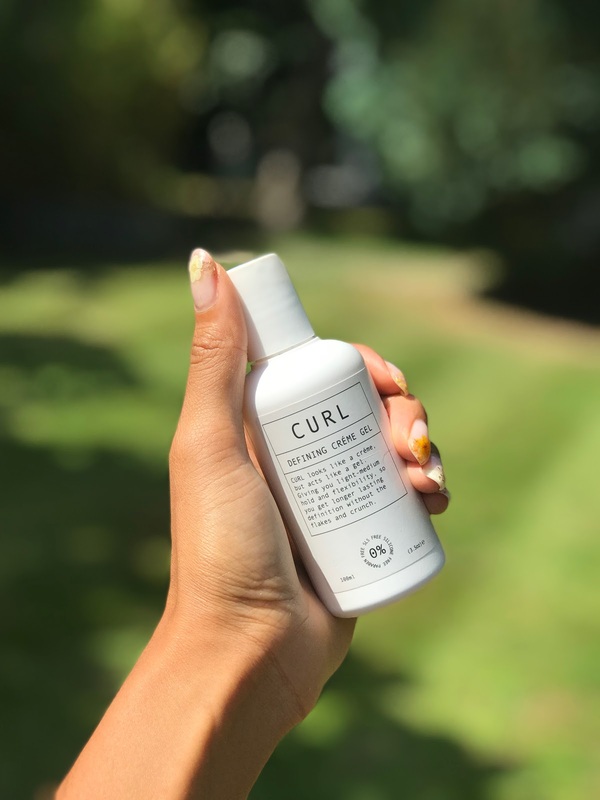 Big Hair + Beauty released a new product earlier last month called CURL. Described as a creme gel, this styling product has been a vital member to my new haircare regime. As you know, I'm trying to grow my hair and get it to a healthy happy state, so I've mixed up the way in which I use my products and it's really working out nicely. For the last few months I've been washing my hair every two-weeks, with a co-wash in between. After cleansing and conditioning I've been using the Big Hair DEEP Conditioning Clay Mask which leaves my hair feeling super soft and my curls extremely happy. Something new to my routine is applying styling product when my hair is soaking wet, I normally do my hair after I'm dressed with makeup done meaning my hair it is damp rather than wet. I know all the curl experts say to use product on wet hair but I'm a rebel and I just don't like having dripping hair. I've gotten over this now and have been using MILK and CURL together on my soaking wet hair. Once the product is applied (FYI a little goes a long way!) I'll leave it to 70% dry and then I'll whack out my diffuser to finish the drying process and add volume, I'm all about the volume. My curls seem to be much more defined and last a lot longer without having to refresh every day - the picture above is day three hair. My new routine seems to really be working as my hair has gotten a lot thicker in the last few months. I'm so glad I dyed it and got a trim a few months ago as I'm reallllly happy with how it's looking at the moment. I like to say "I am not my hair", but when my hair is in bad condition and looking off I feel really down and not myself. So I guess I am my hair, because my hair needs to be healthy, much like the rest of me, for me to live my life. Do you have any curl tips or tricks you can share with me to help my journey? Get 15% off your first Big Hair + Beauty order using promo code THESTYLUM15!